Happy February! With the end of the holiday parties you might be asking yourself, “What do I do with that cute sequin dress/skirt/top that I bought?” Here are some ideas: 1- wear it on a date (with your husband, your significant other, or random person you picked up yesterday) 2- wear it out (for a girls night or any other occasion to go out and celebrate). Don’t own something with sequins? Go out and buy something! 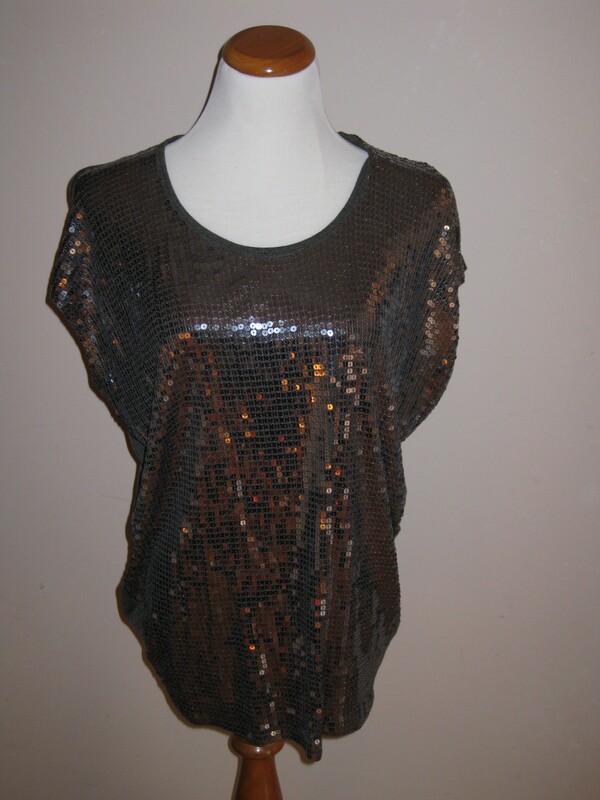 My sequin top is from MICHAEL Michael Kors and I have worn it out for many different occasions with jeans. Arden B has some fun pieces. Go to www.ardenb.com, there is a one shoulder sequin dress for $89, some sequin miniskirts for $69, and a variety of sequin tops. Or shop at your favorite store, you are sure to find a top, pants, a skirt, or a dress with sequins. My point is that you don’t have to reserve the sequins for the red carpet and special parties. Use a sequin piece to dress up any going out outfit.